There is a wide variety of different types of reality television shows out there. There are dating shows, makeover shows, home remodeling shows, ones that follow the lives of celebrities and more. But one thing that every popular reality TV show has in common is that they all began as just an idea. 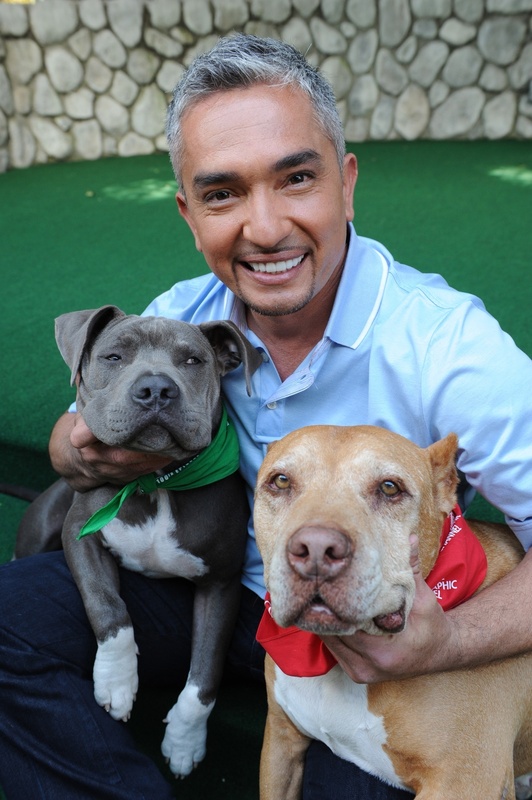 Dog Whisperer with Cesar Millan follows the title’s dog behaviorist as he works to rehabilitate dogs with a variety of problems ranging from inconveniences to issues that could lead owners into legal problems or require euthanasia. Millan is a self-taught trainer, who began working with aggressive dogs shortly after moving to San Diego from Mexico to work for a dog grooming service. Millan uses a variety of techniques that stem from a theory of dogs as social creatures, who prefer to live and act in packs. In each episode, viewers are introduced to the owner or family whose dog is to be rehabilitated. A voice-over describes the situation briefly and the owners tell their story. When Millan arrives, he asks questions about the dog’s behavior and what specific issues the owner wishes to resolve. After this, Millan makes suggestions for how the owner can alter their own habits to become a “pack leader” for their pet, and demonstrates behavior modification techniques. Some episodes also feature Millan bringing in his own dogs to enhance the training sessions, or taking the troubled dog into his Dog Psychology Center for more in-depth treatment. The episode ends with a demonstration of the dog’s altered behavior and the owner commenting on their pleasure that the dog is more obedient or calm. It was created by Sheila Emery and Kay Sumner, producers for MPH Entertainment. Jim Milio and Melissa Jo Peltier, founders of MPH Entertainment, are the executive producer-writers of the show. Jim Milio has written, produced or directed more than 300 hours of television, including directing The Dog Whisperer with Cesar Millan. Melissa Jo Peltier is an award-winning producer and writer, who won her first Emmy for educational programming at the age of 23. She has also won the Peabody Award for a primetime documentary chronically child abuse. MPH Entertainment is also known for the successful film, My Big Fat Greek Wedding. If you have a reality show idea of your own, New Show Studios can help you take action and pursue it. The company has a unique method of creating show concept packages that give network and movie studio executives a professional quality view of your idea. They can take your reality show idea, develop and package it into a demonstration video and send it off to producers and executives in the entertainment industry. Anyone can make a reality TV show concept presentation package with New Show Studios. You do not need special credentials, background or a college degree to pursue an idea. As long as you have a clear idea of what your basic idea is and you are able to verbalize this, New Show Studios is happy to help. Remember that even with the best presentation materials new entertainment development is high risk and there is very little likelihood that your idea will be successfully licensed or result in profit to you. This entry was posted in Blog and tagged anyone can be a tv writer, Dog Whisperer with Cesar Millan, how to become a tv writer, new show ideas, new show studios, reality tv shows, tv show concept, tv show ideas by newshowstudios. Bookmark the permalink.